From Chocowinity, take #33E to Clay Bottom School Rd. to Cotton Patch Rd. to the Cotton Patch Boat Landing to Blount's Creek. My husband and I were taking time to do some fishing at the local pier and I always have my camera handy and the sky and clouds were beautiful most of the day. 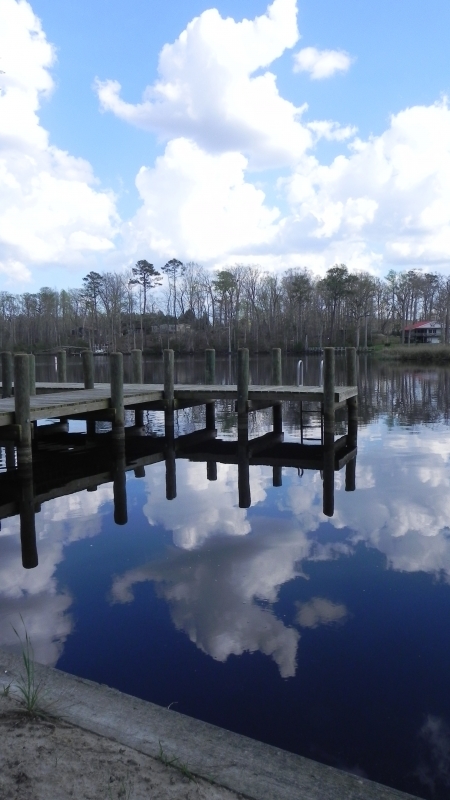 Clouds reflection on Blounts Creek gives an Illusion of the pier hanging suspended from the clouds.